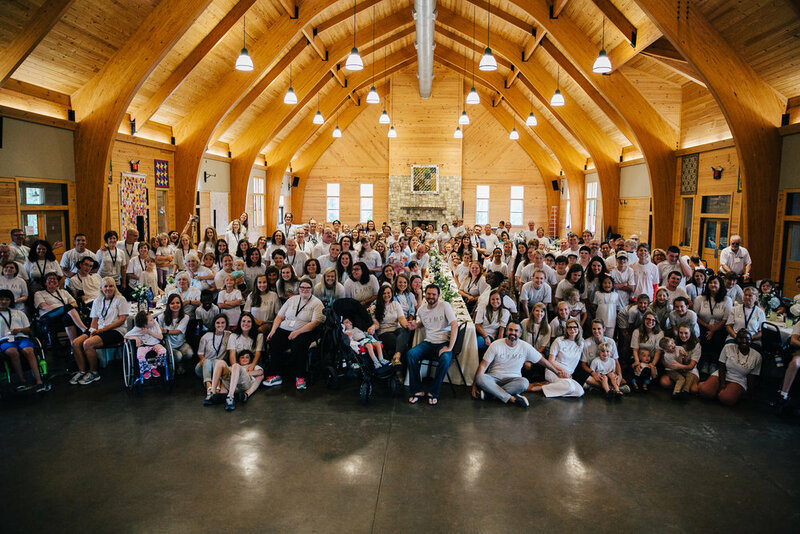 A week-long camp experience in Alabama offering christ-centered resources, rest, and relationships for individuals & families AFFECTED BY disabilities. After surviving a near-fatal brainstem stroke in 2008, we were left with a bittersweet "new normal" – living a miraculous second chance but also living with long-term, life-changing disabilities. At first, I didn't want to be the "miracle girl in the wheelchair", but after years of ministering with all kinds of hurting people, I found my external disabilities were a bridge to those with "invisible wheelchairs". I came to see there is a deeper, universal reality that we are all disabled – unable to do life without God or each other. 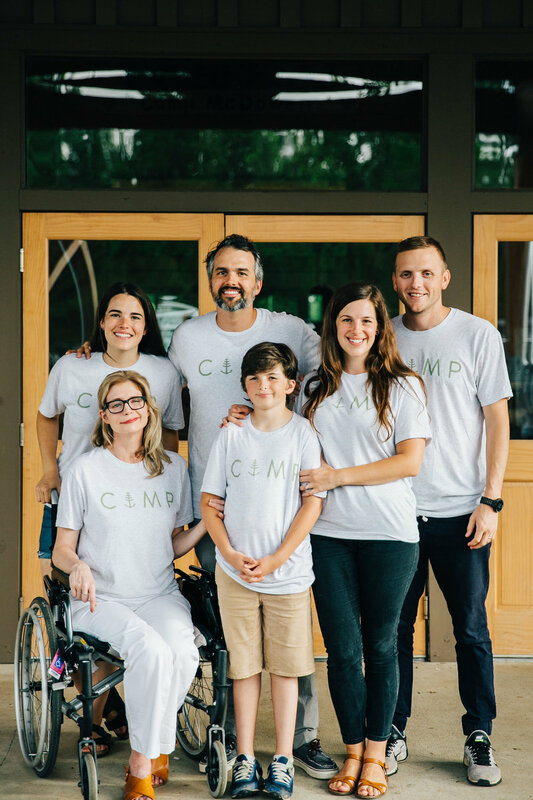 In 2014, we were the speakers at a camp for families with disabilities where we had a profound revelation that though we were on stage we could just have easily been campers. These were our people. We uniquely understood their struggles, and we could be a voice for this voiceless population, the largest minority group in the world. Our story of disability is hard but good. We’ve been able to flourish within these constraints because of the spiritual resources and communal support we were given. Sadly, our story is the exception, not the norm. Most individuals and families affected by disability are struggling to live in a world not made for them...isolated, lonely, despairing. We want to help change that and hope it forward by giving to those in need from all we have been given. We can grow stronger together through disability. Persons with disability in the world have the highest rates of the following unemployment, suicide, homelessness, divorce, and abuse. One billion people in the world live with a disability. 20% of the U.S. population is disabled, making it the largest minority group. 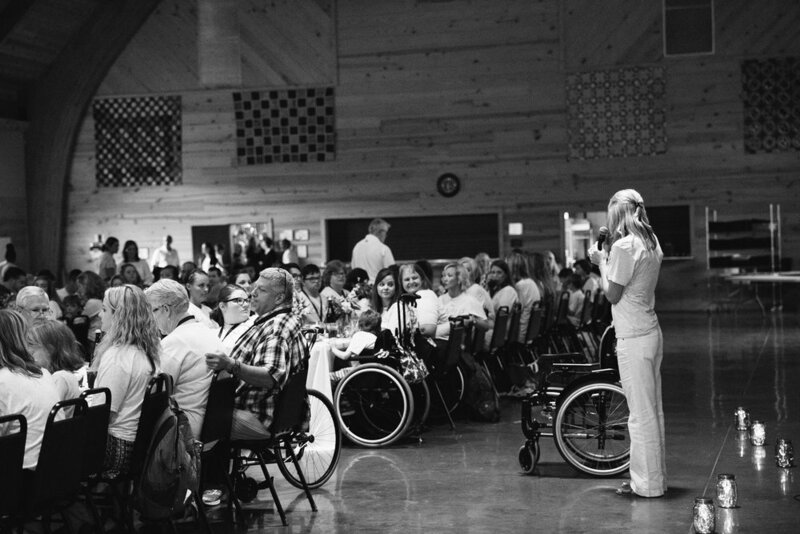 Those with disabilities are the largest unchurched people group. IF YOU've read the info for campers or volunteers and still HAVE QUESTIONS OR COMMENTS, WE'D LOVE TO TALK WITH YOU!